A-HOTEL.com - Luxury and cheap accommodation in Kurtukovo, Russia. Prices and hotel, apartment booking in Kurtukovo and surrounding. Кутузова 43 in Novokuznetsk features accommodation with free WiFi, 13 km from Mayakovaya Hill Ski Lift. The apartment also offers 1 bathroom. Located 13 km from Mayakovaya Hill Ski Lift in Novokuznetsk, пр. Дружбы 4а offers accommodation with a kitchen. 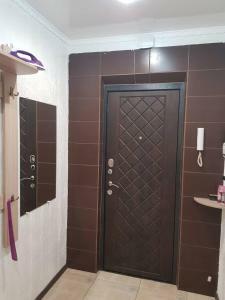 Comfort at Tsiolkovskogo Apartment offers accommodation in Novokuznetsk. There is a dining area and a kitchen equipped with oven. Featuring garden views, Apartments at Transportnaya 33 is situated in Novokuznetsk, 12 km from Mayakovaya Hill Ski Lift. Free WiFi is offered. Apartment Tsiolkovskogo 27 is set in Novokuznetsk. Guests have a private balcony. Apartment Sutki NK Tsiolkovskogo is located in Novokuznetsk. Guests have access to free WiFi.